See some free outdoor cinema in Vauxhall this summer at The Pleasure Gardens (near the tube, by Kennington Lane), with a series of Tuesday night screenings, starting on Tuesday 3rd June with Best in Show, and continuing until 22nd July with The Big Lebowski, taking in other like-minded films like Aan Partridge along the way. It's free, so just turn up and find a good spot (or you can rent a deckchair for £5). Plus there will be street food, a bar and more. Films start when the sun goes down (about 9pm) to make it easier to see the films. 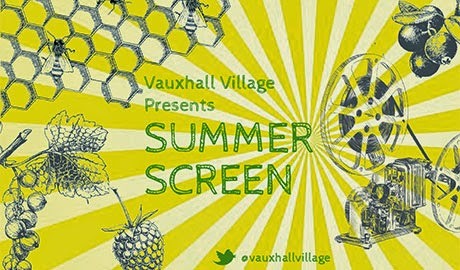 "This summer Vauxhall Village are bringing 6 free pop-up cinema screenings to the historic Vauxhall Pleasure Gardens. Following on from our successful summer, winter and Valentines screenings - Vauxhall Village presents is back with a free outdoor cinema experience like no other. With films ranging from pop-ulture classic Mean Girls to laugh out loud comedy Alan Partridge; Alpha Papa, there’s something for everyone to enjoy. Vauxhall Pleasure Garden’s is right in the heart of Vauxhall, secluded enough to enjoy the film in peace but with great transport links to stumble home afterwards. Bring a blanket from home or hire one for just £2.50, and snuggle up with your loved ones under the stars on a summer night. You can also rent a Vauxhall Village deck chair for £5 to watch the film in true luxury; with every deck chair we’ll give you a free bag of Propercorn, because nothing goes better with a film than tasty popcorn. Along with Propercorn, refreshments will be available to buy from our on-site Kopparberg bar and if you fancy something to eat, there will also be a smorgasbord of London top street food vendors. Bring your friends, bring your boyfriend, bring your nan, or just bring yourself and enjoy a free film in peace on a warm Tuesday evening (we hope, we can’t make promises on the weather – this is England)!" Tickets - Free - just turn up and find a good spot!